Terry Simpson Studios' trained dancers have been accepted into tertiary institutions, companies and in the Arts in Australasia, Asia Pacific, North America and Europe. Remi is Principal Dancer with Dutch National Ballet for which he has danced many of ballet’s most recognisable roles. He began dancing in Adelaide at the age of 3, trained at Terry Simpson Studios and graduated from the Australian Ballet School as dux in 2001. For 8 years he was a member of the Australian Ballet with which he danced principal roles at famous stages around the world. He has also won decorations internationally including a silver medal at the Eighth Asian Pacific International Ballet Competition; was awarded the inaugural Walter Burke Award; was nominated for the trifecta of major Australian performance awards: the Australian Dance Award, Green Room Award and Sir Robert Helpmann Award and has achieved 15th position in Dance Europe’s critical list of the World’s Top 100 Dancers; and was awarded the Alexandra Radius Prize, the top decoration for classical dance in the Netherlands. He performed at the Metropolitan Opera House and toured the USA as guest dancer with American Ballet Theater which included time at New York City Ballet. He made his Russian debut in 2012 at St Petersburg’s Mikhailovsky Theatre and has been invited to return to the festival every year since. Remi has also choreographed Fade Not which premiered at Sydney Theatre. Remi’s ballet Magdalene, In Defence of Beauty was commissioned by Dutch National Ballet and performed at the Muziektheater Amsterdam. His first evening-length work as resident choreographer for ODD Continent premiered at the Stadsschouwburg Amsterdam. Nicola began her movement training as a gymnast at age 7. She then went on to study contemporary dance and classical ballet at Terry Simpson Studios, achieving the RAD Solo Seal at age 16. She graduated from the New Zealand School of Dance in 2009 and went on to work with Queensland based company Dancenorth, collaborating with Ross McCormack ([SIC], Nowhere Fast), Raewyn Hill and Rob Tannion. 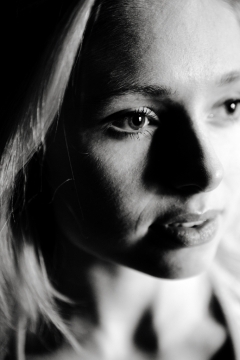 In 2011 she relocated to Belgium and has since performed extensively in Sidi Larbi Cherkaoui’s works Faun with James O’Hara, Puz/zle for the premiere season at the Festival d’Avignon, for music video Valtari by Icelandic group Sigur Ros, Icon in conjunction with GöteborgsOperans Danskompani, Nomad with 420PEOPLE, and for the operas Les Indes Galantes and Satyagraha. She has performed with Compagnie Thor for Clear Tears Troubled Waters, Cocktails and the solo ReVolt and collaborated with makers Ross McCormack/Muscle Mouth for AGE at the New Zealand International Arts Festival, Elie Tass/Les Ballets C de la B, Stephanie Lake/Stephanie Lake Company and Lauren Langlois. Nicola has taught Faun repertory to the Royal Ballet of Flanders and The Bolshoi Ballet and is a current Yoga instructor in Brussels. Most recently, Nicola performed in Vessel by Damien Jalet and Kohei Nawa for the Perth International Arts festival. Jesse Scales completed her early training in Adelaide with Terry Simpson where she gained the RAD Solo Seal at 16. Jesse then went on to study at the New Zealand School of Dance, majoring in Classical Ballet, and graduated in 2011 with a National Certificate in Dance Performance. In 2009, Jesse was awarded a full scholarship to study at the Complexions Contemporary Ballet Summer Intensive in New York, and has also received 2 Project & Development Grants from the Adelaide Festival Centre Foundation. In 2011, Jesse was a recipient of the Adopteer een danser Scholarship which allowed her to attend the Nederlands Dans Theater Summer Intensive (The Hague). 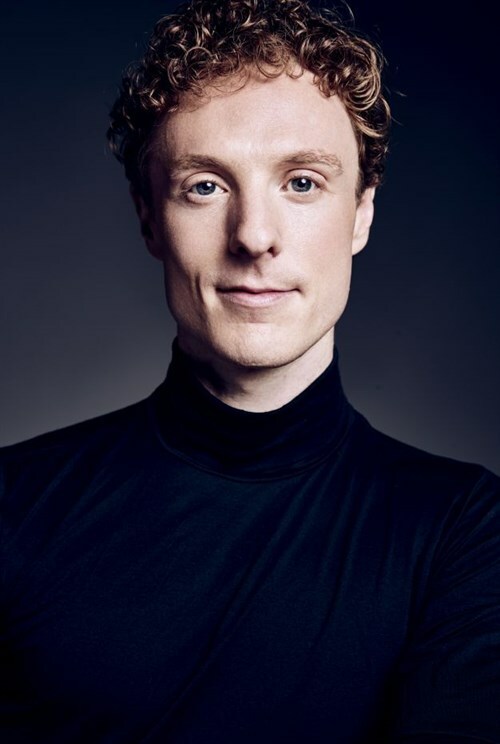 At the end of 2009, Jesse joined the Melbourne Ballet Company and was awarded the Artistic Director’s Young Dancer Award. She also appeared in Meryl Tankard’s Australian Dance Theatre performance of 1998 and Graeme Murphy’s Swan Lake with the Australian Ballet. Jesse joined Sydney Dance Company in 2012 and performed in the world premiere of Rafael Bonachela’s 2 One Another (2012-2015); Project Rameau (2012-2013); Emergence (2013 and 2015); 2 in D Minor (2014); Scattered Rhymes (2014), Frame of Mind (2015), New Breed (2015) and Triptych (2015). Frame of Mind won the 2015 Helpmann Award for ‘Best Choreography in a Dance Work’ and ‘Best Dance Work’. Jesse performed a feature role in William Forsythe’s Quintett for which she was nominated for a 2015 Helpmann Award for ‘Best Female Dancer’ for her performance and the winner of the 2015 Green Room Award for ‘Female Dancer’. Born in Adelaide, Hugh grew up in a musical family in Adelaide, with a jazz musician Dad, Denis. He commenced acting classes at age 5 at Unley Youth Theatre and seized every opportunity to be part of creating theatre through his adolescence. At 16 Hugh started studying dance to support his music and drama and that same year his dance teacher Terry Simpson, suggested he audition for the Australian Ballet School. She knew that experiencing the rigorous and gruelling entry process would set Hugh up for future drama institution auditions. Hugh was granted entry to the Advanced Diploma in Dance And while there also studied opera part time at the Victorian College of Arts. Hugh, at just 18, was accepted into full time Bachelor of Arts in Acting at the National Institute of Dramatic Art in Sydney. In his final year Hugh won the role of Ben Rafter in Seven's pilot for Packed to the Rafters, a show that spanned six series, consistently holding #1 drama in Australia. In 2009, Sheridan won the Logie Award for "Most Popular New Male Talent". In 2012, Sheridan hosted the Network Ten talent show series I Will Survive and appeared in the Seven Network mini series, INXS: Never Tear Us Apart. In Dec 2008, Sheridan performed on Seven Network's television concert special Carols in the Domain in which he performed "Have Yourself a Merry Little Christmas". In Aug 2009, he signed a recording contract with Sony Music Australia. In 2015, Sheridan formed The California Crooners Club with Emile Welman and Gabe Roland. In Spring 2016, CCC toured Adelaide, Sydney & Melbourne Australia to great critical acclaim. Andrew is a founding dancer of Co3 (Perth,Western Australia) where he currently works. Andrew pursued dance at Terry Simpson Studios. After graduating high school, Andrew trained full-time at the New Zealand School of Dance (2010-2012) and received a Diploma in Dance Performance. 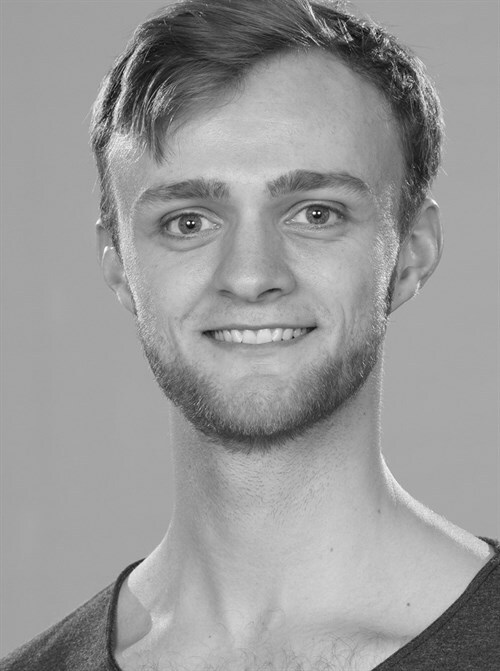 Andrew worked for Raewyn Hill at Dancenorth in 2013 and 2014, performing and touring with the company throughout Queensland, Tasmania and New Zealand, and has also worked with Tasdance on their 2015 Luminous Flux season with works by Tanja Liedtke and Byron Perry, touring Tasmania, Victoria and New South Wales. Most recently Andrew has been working with Sydney-based artist Brianna Kell in developing a new independent work due to be presented in Sydney later in 2018. Katherine Gurr who is also a founding dancer of Co3 where she currently works. After completing her dance training at Terry Simpson Studios, Katherine continued her studies at WAAPA where she was awarded the Hawaiian Award for Dance for the Most Outstanding Graduating student in Bachelor of Arts, and the Dance Theatre of WA Award. Since graduating, Katherine has worked in Adelaide with Lisa Griffiths, in her work Chance and as a recipient of the Australia Council’s Artstart grant, was able to perform with Tasdance and Dancenorth. Stefaan began his training in classical ballet at Terry Simpson Studios before continuing his studies at the New Zealand School of Dance on scholarship in 2012, at the age of 17. He then went to work with the Singapore Dance Theatre from 2014-2016 and later joined Theater Pforzheim, in Germany, from 2016-2018. Nicola completed her dance training at Terry Simpson Studios. In 2009 she won the Silver Medal at RAD International Geneé awards. From 2010 until 2011 she was a trainee at the Queensland Ballet in Brisbane and performed many pieces such as The Nutcracker, Swan Lake and Romeo and Juliet. Then, she shortly joined the Ballett Dortmund (2012 - 2013). In 2013 she joined The Royal Ballet of Flanders and is currently Demi Soloist and has choreographed three times in the Company’s Choreolab programme. 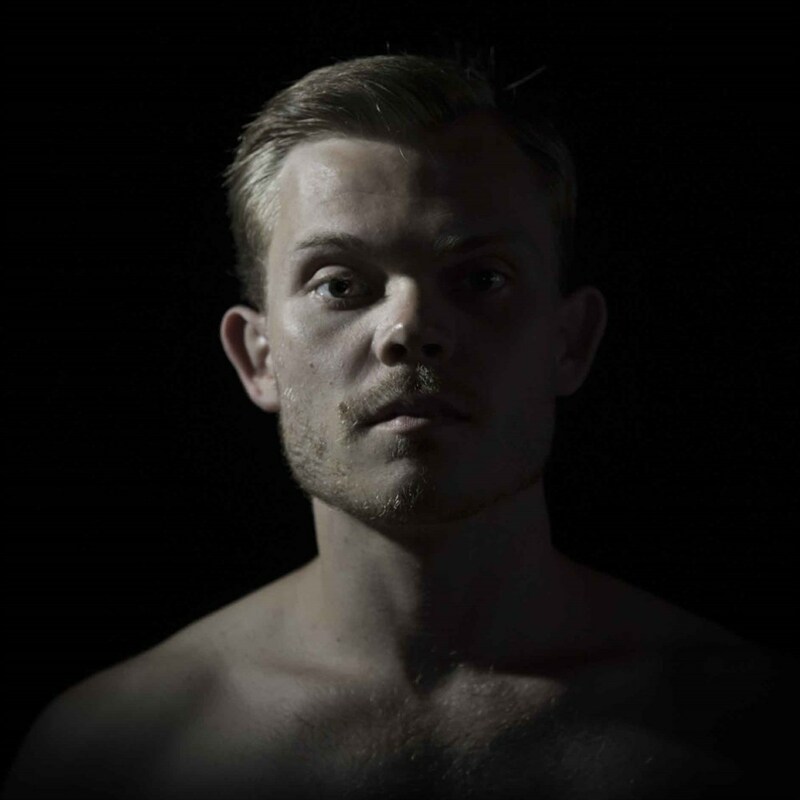 Lewis is an award-winning choreographer, who as a performer and dance maker, has worked with and alongside Akram Khan, Sidi Larbi Cherkaoui, Russell Maliphant, Shaun Parker, Hans van Den Broeck/Cie Soit and Australian Dance Theatre. He was a founding member of Aakash Odedra Company. His formative dance training was at the Terry Simpson Studios and then at the New Zealand School of Dance. Born in Adelaide, Ruth began ballet at the age of ten under Michelle Heine for one year in Canberra. Upon returning to Adelaide, she pursued further training in the RAD syllabus at Terry Simpson Studios. In 2011, she accepted a place at the New Zealand School of Dance (NZSD). While at the school she was offered a scholarship to the Jacob’s Pillow Ballet Program in Becket, Massachusetts. There, she had the opportunity to study under Anna- Marie Holmes and Cynthia Harvey. She also performed in the premiere work of April England by Michael Corder at the Jacob’s Pillow 80th Anniversary Gala. In 2012, she was also given the opportunity to go on tour with the Royal New Zealand Ballet in Ethan Stiefel and Johan Kobborg’s new production of Giselle. While at NZSD, she worked with numerous guest tutors including Matz Skoog, Sir Martin James, Pablo Aharonian, Edmund Stripe and Wim Broeckx. She also performed in Solitaire and Jo Funaki’s Rise in the NZSD 2013 graduation season. She joined SDT as an apprentice in January 2014 and performed in Romeo and Juliet, Don Quixote, Sleeping Beauty, Swan Lake and The Nutcracker. She has also danced in Opus 25, Serenade, Theme and Variations, Peter & Blue and Paquita. Ruth was promoted to Artist in September 2015.